MAXXAM Inc., parent company of Sam Houston Race Park, has announced the promotion of Andrea Young as President and Chief Operating Officer for The Park as well as Valley Race Park. In addition, Young will join the company’s Board of Directors. Young, who previously served as Chief Operating Officer for Sam Houston Race Park, will assume similar duties at Valley Race Park effective immediately. Young’s duties include the oversight of all day-to-day operating activities for both companies, including revenue and sales growth; expense, cost and margin control; monthly, quarterly and annual financial goal management; racing, facility operations, sales, marketing, human resources and business administration. Young will also establish and maintain performance goals, allocate resources and assess policies for senior management. Young was first hired in 2007 and has seen considerable success since joining the Houston horse track. Valley Race Park is home to greyhound racing and year-round Thoroughbred, Quarter Horse and greyhound simulcasting. Under the ownership of Sam Houston Race Park, Valley Race Park was re-opened in 2000, and has strived to become the best entertainment value in the region. The park provides the community with several hundred jobs and is a significant contributor to the city of Harlingen. 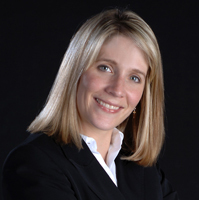 Prior to joining Sam Houston Race Park, Young served as President and CEO of The Houston Comets (WNBA) for almost two years. Young moved to Houston in 2000, to join the Houston Rockets organization where she was a key member of the team responsible for the development, design, construction and opening of Toyota Center. While with the Rockets, she also served as Director of Event Marketing and Booking where she was responsible for attracting and marketing events at the new facility including concerts, family shows and other special events including the 2006 NBA All Star Game. In addition to her responsibilities at Sam Houston Race Park, Young serves on the Board of Directors of Girls Incorporated of Houston and the Executive Women’s Partnership. A graduate of Vanderbilt University, Young began her career in sports and entertainment with the Tennessee Titans in media relations. Young lives in Houston with her husband, John, and their young son.